The Queensland Government has announced it will work exclusively with Leighton Properties to finalise a detailed proposal to design and build apartment, retail and commercial buildings in Northshore Hamilton. Deputy Premier and Minister for Infrastructure, Local Government and Planning Jackie Trad said the announcement of this project would support approximately 500 jobs during construction. "The Palaszczuk Government will invest $20 million to develop a shared public precinct and boost community infrastructure," Ms Trad said. 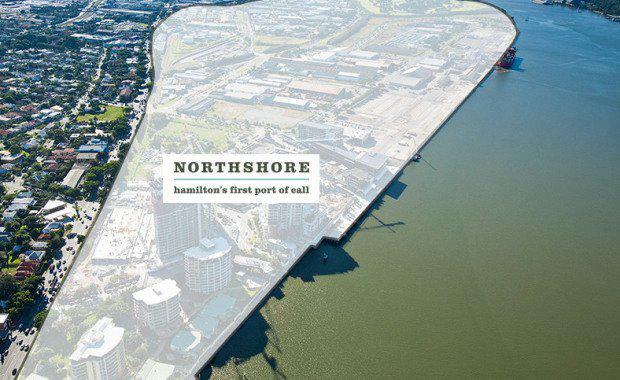 “Northshore Hamilton is one of Australia’s largest urban renewal projects, stretching along 2.5 kilometres of Brisbane riverfront land and the revitalisation of this under-utilised, inner city area will create a new residential and retail hub for the community that will be a boost for Brisbane’s economy,” Ms Trad said. Ms Trad said the project was planned to include more than 700 apartments, with a permanent residential population for businesses to service, as well as visitors to the planned parkland and new community swimming pool. “The Queensland Government will fund the construction of a new community swimming pool which will be integrated into the overall design and serve as a key centrepiece for the precinct,” Ms Trad said. Mr Yeang’s design intends to deliver a world class sub-tropical eco-master plan of “building in the park”. Ms Trad said Economic Development Queensland (EDQ) ran a two-stage competitive bid process for the site. “Understandably this rare opportunity to develop a two hectare parcel of land on Brisbane’s riverfront attracted top-tier developers, all bidding for the chance to turn it into something special,” Ms Trad said. Leighton Properties Project Director, John Campbell, said they were excited to be announced as the preferred developer for this sought-after site. “We put a lot of thought into the public parkland and how to integrate it into the design of the apartments – and I think the result is quite unique,” Mr Campbell said. Earlier this month, Northshore Hamilton was the recipient of a national award at the 2015 Property Council of Australia / Rider Levett Bucknall Innovation and Excellence Awards.